Admiral Jonathan Greenert, the U.S. chief of naval operations, told a Washington DC audience last week that Malaysia had offered to let the U.S. use one of its bases for maritime surveillance flights over the South China Sea. China has loudly protested U.S. surveillance operations near the Chinese coasts, particularly near Hainan Island, the site of a nuclear submarine base. 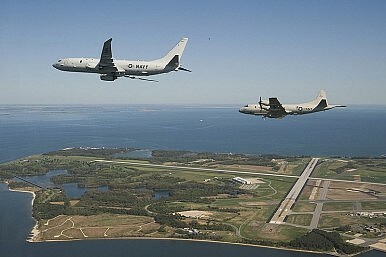 In remarks given September 8 at the Carnegie Endowment for International Peace, Greenert said that “recently the Malaysians have offered us to fly detachments of P-8s out of … East Malaysia.” Greenert added that “you can see the closeness for the South China Sea,” implying that the P-8 aircraft would be used for surveillance over that disputed maritime region. The interest in Greenert’s remarks puts Kuala Lumpur in a tough spot. Malaysia has enjoyed close ties with China and offering to host U.S. spy planes would cause serious strains in the Malaysia-China relationship. Last month, the U.S. and China butted heads over what Washington called a “dangerous intercept” of a P-8 aircraft by a Chinese fighter jet. Beijing denied the accusation that their pilot acted improperly and instead blamed the incident on Washington’s frequent surveillance mission near the Chinese coast. China is not likely to look kindly on neighboring countries that offer to assist with U.S. surveillance missions. As Wu Xinbo, director of the Center for American Studies at Fudan University, told the New York Times, China would see an agreement between the U.S. and Malaysia as direct opposition to China’s attempts to get Washington to reduce and ultimately stop surveillance missions. Given the backlash from China, why would Malaysia even be open to negotiations with the U.S. over using a Malaysia base for U.S. spy missions? Ernest Bower, a senior adviser at the Center for Strategic and International Studies who often writes on the South China Sea disputes, told NYT that Malaysia’s offer could have come as a response to stepped-up Chinese maneuvers in Malaysian waters. “China has surprised Malaysia by bringing military ships into its waters and tacitly threatening offshore Malaysia oil and gas exploration,” Bower told the Times. In particular, China is becoming active regarding its longtime claim to James Shoal, which is located only about 80 kilometers from Malaysia’s coast. If Malaysia does open an air base to U.S. use, it would likely be because China’s growing military presence near the Malaysian coast changed Kuala Lumpur’s strategic calculus. U.S. government officials are eager to make use of any perceived distance between Beijing and its neighbors in Southeast Asia. In his remarks last week, Greenert listed “Malaysia, Indonesia, and Singapore” as the “key” to the U.S. rebalance in Southeast Asia. “We have opportunities here and I think we’ve got to continue to nurture them,” Greenert said regarding the U.S. presence in Southeast Asia.